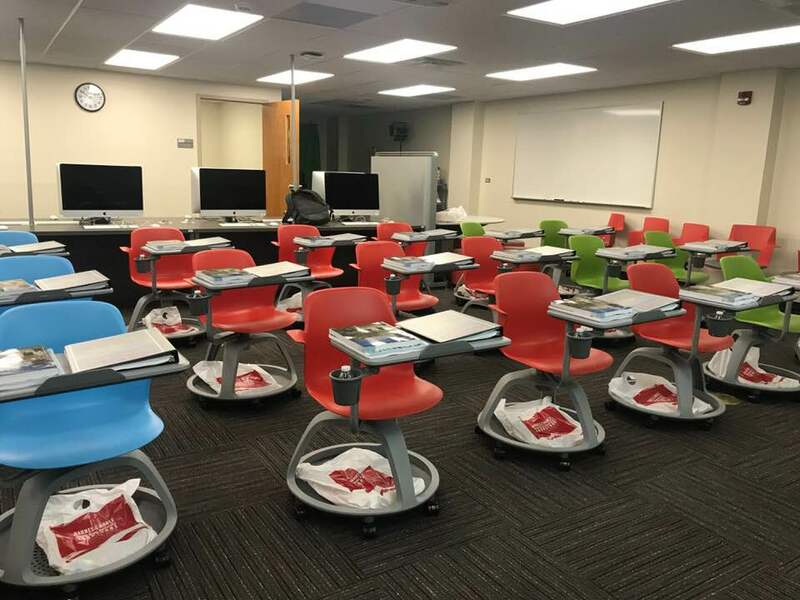 At first glance, the School of Communication’s (SoC) new Communication Innovation Center (CIC) looks like the bridge of an intergalactic starship. Fell Hall is Illinois State University’s hub of communication, and the CIC fits right in as the perfect place to engage in learning. The CIC made itself at home on Fell Hall’s second floor in April 2018. Officially dedicated during COM Week 2018, regular classes were not scheduled in the CIC until fall 2018. Since then, students from different concentrations have had a space to collaborate and access various media technologies. This classroom is unlike any other on campus. The room has high-quality technology that allows instructors to be creative through their teaching lessons. Students are also given more freedom thanks to the center’s the furniture and multimedia tools. SoC faculty members have expressed their happiness with Fell Hall’s newest edition. From the casual seating arrangement to the large, open setup, most faculty members agree that the atmosphere in the CIC has helped to create a more productive and engaging learning environment. Upon first glance, the CIC’s vibrant, stationary seating could be deemed a distraction for students. However, faculty members insist that the seating design has only increased productivity and collaboration. In addition to the CIC’s design, it offers a space where instructors can incorporate media production tools during their lectures. These tools have not only made it easier to teach, but have allowed for mass media students to view and critique work in a way that would be more complicated in a traditional classroom setting. 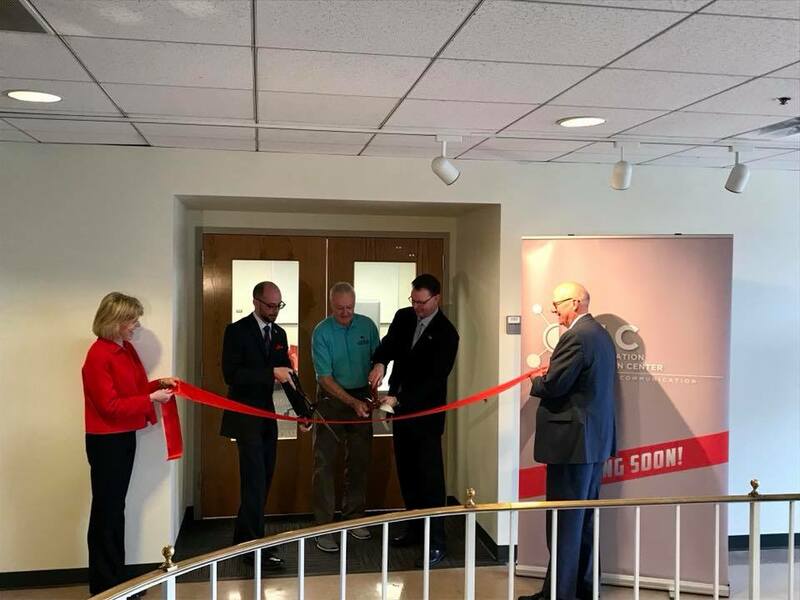 Within only its first year, the CIC has changed the way journalism, mass media, and public relations students are experiencing their class time in Fell Hall. In addition to lectures, the open space has been used to host communication events, guest speakers, and training events for faculty members and student groups housed in Fell Hall. It is clear that the CIC has and will continue to improve the way that instructors and students interact right on the second floor of Illinois State’s home of communication.